Those of you that enjoy drawing on Apple iPad devices may be interested in a new stylus that has been created in the form of the Me-PEN stylus, that is constructed from machined aluminium and includes a couple of unique features. 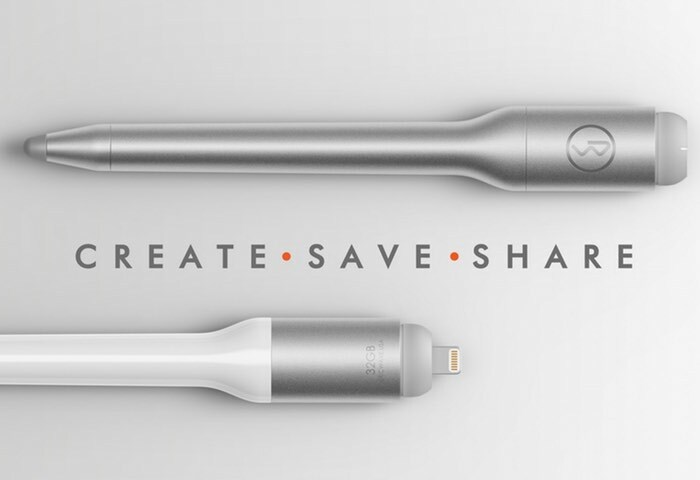 The Me-PEN stylus is equipped with on-board memory in the form of either a 16 or 32GB detachable flash drive that can be used for a range of different applications, including file management. Watch the video below to learn more about the Me-PEN which is taken to the Kickstarter crowdfunding website to raise $25,000 over the next 30 days to make the jump into production. The creators and developers of Me-PEN explain more about his inspiration, design and uses. Smartphones and tablets have increasingly become extensions of who we are. We take them everywhere. We use them for everything. The trouble with everything, though, is that it requires a heck of a lot of storage space. And who among us has any to spare? Data usage is always at an all-time high—we could all use a nifty solution to free up some memory. Enter the Me-PEN. Jump over to Kickstarter to make a pledge for the Me-PEN stylus from just $35 for super early bird backers.